Are you looking to promote products that have an emphasis on keeping fit? Then you’ve come to the right page. We have partnered with 3 new brands that are offering the opportunity to market their products with their Fitness Affiliate Programs. In no favorable order, we present you with three brilliant fitness affiliate programs that will have your customers lining up. 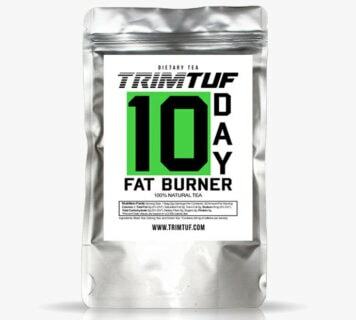 TRIMTUF’s 10-Day Fat Burner Tea is an all-natural blend of green, black and oolong teas that not only tastes good but also burns fat. If you want to help people lose weight while earning 15% commissions, then sign up right now and get started! Click here to join TRIMTUF’s affiliate program. Port de Band™ is the hottest new training tool for dance, yoga and fitness instructors. Professional Ballerinas LOVE this product! The brilliance of this is that the resistance bands attach at the back and the wrists to help dancers connect their port de bras to their back muscles. It is also great for teachers and students of Dance, Yoga, Pilates, Karate, Figure Skating, Gymnastics, and even musicians! And on top of that, you’ll earn 10% on each sale you refer. Click here to join StretchStrength.com’s affiliate program. If fitness is a big part of your life, then you’ll understand the uncomfortable struggle of sweat on your seat after working out. Then Seat Hoody is what you need to keep the sweat off your seat. Available in styles for him and her, Seat Hoody is easy on and off hood that fits all standard car seats. Aside from that, it also has a non-slip grippy backing. In addition to that, they have various design collections that include Wanderlust, Camo, Earthtone and Make Today Great. Want to earn a commission of 7%? Then apply here to become an affiliate of Seat Hoody. Interested to promote more products? We launch new affiliate marketing opportunities every week!